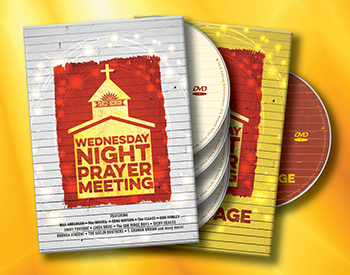 We named it Wednesday Night Prayer Meeting because that's what the "let-your-hair-down" style of worship was called back in the day. You went to Sunday morning all shined up, but Wednesday Night was for relaxing and celebrating the Lord Jesus. Some of the artists attending include Ricky Skaggs, The Oak Ridge Boys, John Berry, Bill Anderson, Larry Black, Larry Gatlin and the Gatlin Brothers, Barbara Fairchild, Gene Watson, The Isaacs, Jimmy Fortune, Teea Goans, The Martin Family Circus, Gordon Mote, Linda Davis, Rhonda Vincent and so MANY MORE... They sing songs like "Blessed Assurance," "Victory In Jesus," "Wings of a Dove," "Amazing Grace," "Tis So Sweet to Trust In Jesus," and tons of others you're sure to recognize and sing along.